I love knitting on trains, when I’ve had jobs that I’ve commuted to, I finished LOADS of projects using that time to and from work. My infinity scarf positively leapt forward on Thursday night. 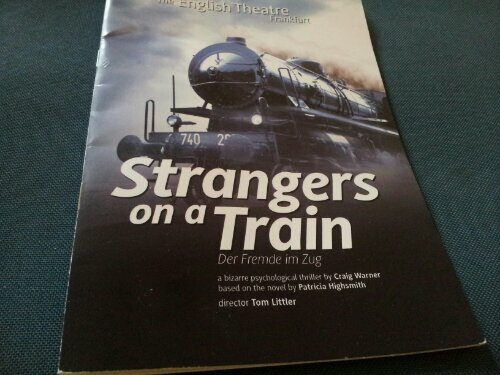 I went to the Frankfurt English Theater to see strangers on a train which was fab, loved the set and the lighting with scary shadow plays going on on the walls and the train there and back were perfect for a knitting session. It's in Germany but it's in English! The other thing that was great is that, because there’s a 10 stitch repeat in the pattern, I wasn’t just knitting, oh no, I was counting out loud in an under your breath kind of manner. 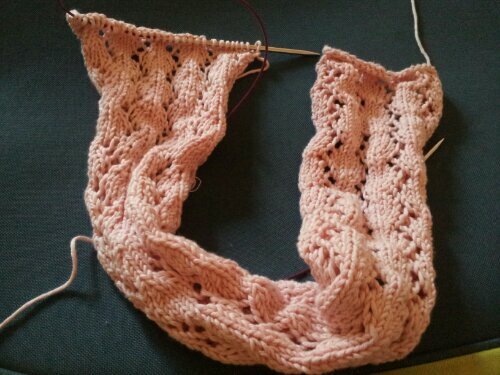 So the scarf is now long enough to be looped once around my neck, 2 loops to go, yay! And I totally justified talking a second ball of wool with me because I joined it on at least 10 minutes before reaching my destination. How does everyone else carry knitting when travelling? 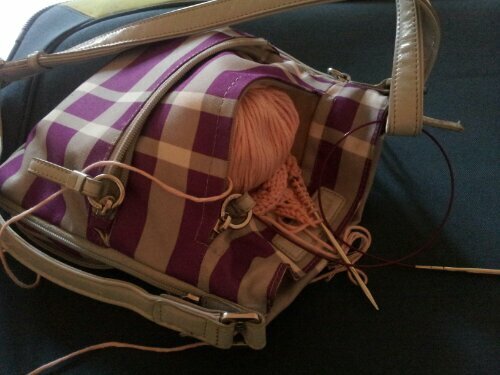 Is the yarn in your pocket or your handbag or do you risk it falling on the floor by keeping it on your lap? I keep mine in a pooch on my handbag.